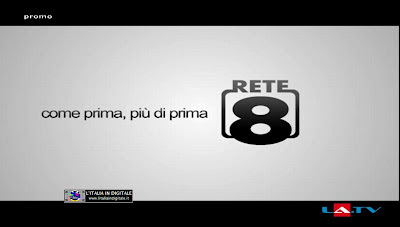 MUX RETE 8: FINE DEI PROGRAMMI PER RETE 8 SALUTE? MUX RETE 8: AL NUMERO 73 ARRIVA UN DUPLICATO DI LAQTV. MUX RETE 8: INSERITA LAQTV. MUX RETE 8: ELIMINATI RETE 8, RETE 8 SPORT E TELEMARE.